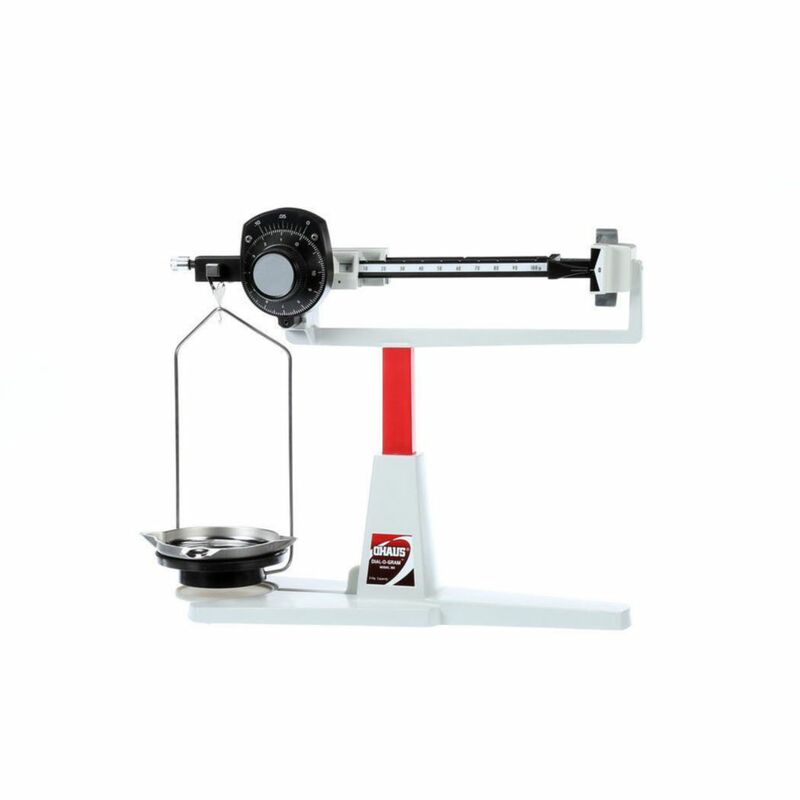 The Dial-O-Gram is a two-beam unit that combines Dial and Vernier calibrations. These balances feature a positive poise position. They include a self-storing specific gravity platform and a security feature that locks down balance with a security device, available separately. No attachment weights are needed. Sensitivity, front beam, rear beam, and Dial/Vernier measurements are as follows–0.01 g, 100 g x 10 g, 200 g x 100 g, 10 g x 0.01 g, 10 g x 0.01 g.
Ordering information: Five-year manufacturer's warranty is included with purchase.